3PL Selection: Are Companies Ignoring the Most Important Qualifier? A cross dock facility for a major retailer was performing poorly. Safety ratings were abominable, with an RIR (Recorded Incident Rate) over 6.0 in a year, and the facility was ranked near the bottom among 25 similar facilities for operational and cost performance. A new 3PL logistics supplier assumed the operation and safety incidence rates dropped to 0 and the facility rose to #5 in the retailer’s performance rankings. This dramatic shift occurred in just 10 months, and with the exact same supervisory and warehouse personnel! Why the dramatic change? Because an investment was made in the people who do the work. 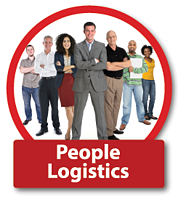 PEOPLE are the raw ingredient of any logistics outsourcing project. But during the 3PL selection process companies don’t spend nearly as much time assessing a logistics supplier’s people management skills as they do their systems, processes and price calculations. Going forward, it will be increasingly difficult to find meaningful differences between top warehouse-based 3PLs – on technology, process design and general warehouse management acumen. A case in point is our cross dock example. Not only was the facility operated by the same people in the same building, but the same system was used, and processes changed very little. The best way to predict future performance during the 3PL selection process is to understand what the 3PL is doing to get the best performance from the people who actually do the work. Call that people logistics, call it whatever you want. It’s the next frontier of competitive advantage, and 3PL users are just missing it. Manufacturers and retailers need to take a hard look at their logistics supplier selection process to place more of a focus on PEOPLE. Specifically, their assessment process needs to get beyond the senior leaders and sales people of their prospective 3PL partner. They need to understand the quality and degree of engagement of those who will pick and pack and deliver their orders. Is the company’s mission well understood by all, or is it a framed lobby ornament that no one ever looks at or thinks about? Is there a clear, well-entrenched culture of service, or is talk of culture merely lip service? Are employees happy and engaged, or are they just punching a clock? Is there a system of two-way communication where staff members get to share their ideas and concerns about how the work gets done? Logistics trade magazines are full of articles on choosing the best technology, the best equipment, the best strategy. Where are the articles on choosing the best PEOPLE? In the end, it’s what spells the difference.